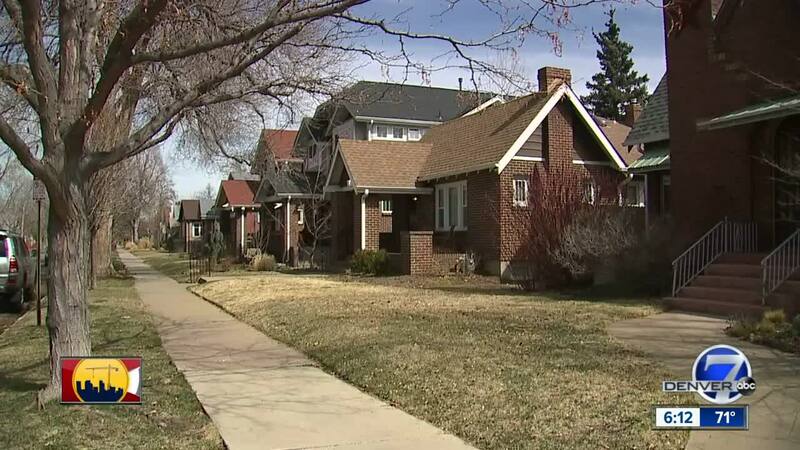 DENVER — In our Colorado, the eclectic mix of old homes, some say, gives neighborhoods character, but with so many new people moving to our state, new homes seem to be popping up everywhere. A group of people in the West Washington Park neighborhood comprising the West Wash. Park Neighborhood Association’s Conservation Overlay District Committee is pushing to keep the historic and eclectic style in place. They believe the overly modern, contemporary look is disrupting the “feel” of the area. Judy Sylvester’s home was built more than a century ago and that’s why she loves it so much. She’s not a huge fan of all the scrapes and rebuilds she’s seeing more and more in West Wash. Park. “It would help with not having so many contemporary looking homes in this very traditional looking neighborhood,” said Sylvester. That’s why a committee, part of the neighborhood association, wants to form a Conservation Overlay District — not quite like a historic district, but an extra layer of guidelines for new builds and major rehabilitations. “To help encourage that development to match the style and character of the neighborhood,” said committee member Nicole Munger. The idea is to keep the eclectic mix of historic style that makes up the character of the neighborhood, they said. Some of the regulations, as listed in the bulletin distributed by the neighborhood association would be: setbacks, roof pitch designs and restricting smaller lots to one unit. The district would not, as stated, prohibit demolition, pop-tops, or additions. McCarthy said that if the ordinance were approved with specific regulations, new builds could be denied a permit if the builder does not comply. “There are houses in this neighborhood that can be purchased for $200,000 or $1.2 million, so there’s a wide spectrum of styles and pricing and when you have different people living in one area, its more interesting,” said McCarthy. Sylvester is, of course, on board with the idea of a Conservation Overlay District but it still has a long way to go before the guidelines would become an ordinance. The committee is meeting Wednesday to discuss guidelines that will then be proposed to the city and then would continue on through the legislative zoning process. “Not everybody can handle this old home stuff, some of us find it fascinating,” said Sylvester. Denver7 has reached out to the Colorado Homebuilders Association and various developers for statements and have yet to hear back.